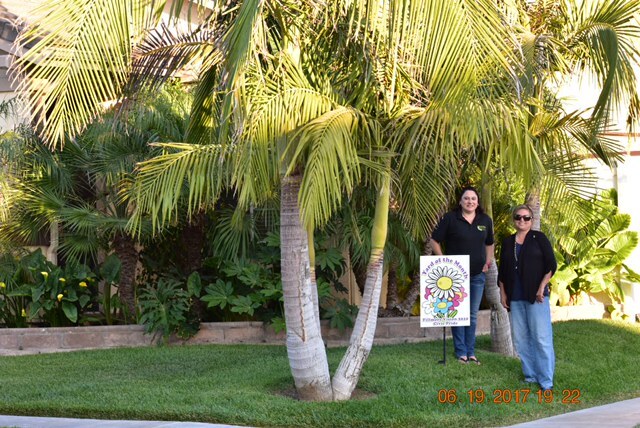 Congratulations to Ralph (1st Vice-President of the Fillmore Chamber of Commerce) and Lorena Jimenez on being named the June 2017 Yard of the Month. Their beautiful green tropical oasis features King, Queen and Pickling palms along with Banana trees and Tulips. They have three children, Matthew (attending UC Merced), Nick and Sophia. The Jimenez family was presented with a gift certificate for Otto & Sons Nursery. The house is located at 898 Union Pacific St. If you would like to nominate a yard in your neighborhood or have questions about Fillmore Civic Pride please contact Ari Larson at petenari55@hotmail.com or 805.794.7590. Newer PostSespe Creek Car & Cycle Show on the 4th of July! Make it a tradition! Older PostCongratulations to the Andrade Family!